How Will You Protect Seniors from Scams? | The Estate, Trust & Elder Law Firm P.L. Older Americans Month is in full swing. Older Americans are seniors over the age of 60 years old in America. This May, and every month of the year, how do you plan to care for the seniors in your life and ensure that they are protected? Start by ensuring they have the right Florida estate planning in place. For Older Americans, estate planning is more than just basic documents. 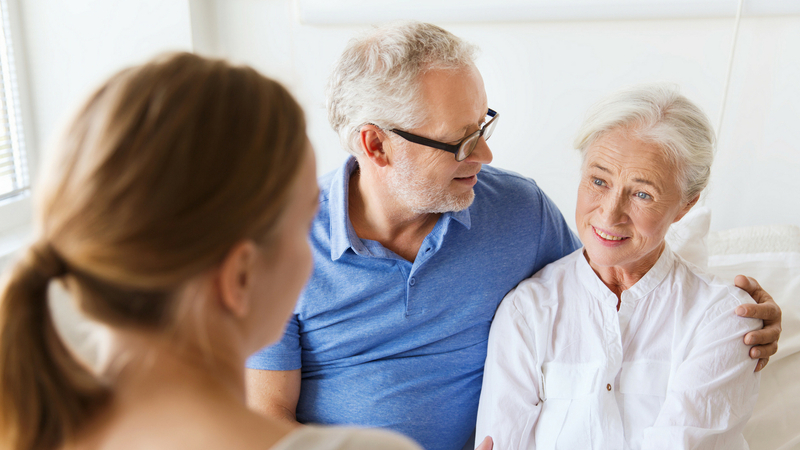 To protect the Florida senior, he or she needs estate planning that contemplates a future in which he or she may need long-term care assistance outside the home. Time is of the essence for creating this type of planning and ensuring that the future of both the senior and his or her family is protected. Long-term care challenges and issues that arise from the aging process, are just part of what elders today need to be protected from. At the forefront of these issues, there is also the concern of exploitation against Older Americans. Unfortunately, as a demographic, seniors are viewed by scammers and predators as easy targets in comparison to other generations. This is one of the main reasons why many scams are focused on this age group. Let us share a few of the most frequent scams out there so you can protect yourself and the seniors you love. 1. Mail scams. As a demographic, Older Americans continue to be one of the most targeted groups for scammers when it comes to mail scams. The criminals send enticing offers through the United States postal office designed to manipulate the senior to take action. By acting through this type of scam, the senior is at risk of losing income, assets, and valuable private information. It is important to remain discerning whenever anything is received through the mail system. 2. Hurricane Insurance Scams. This is a scam found specifically in states where hurricanes are present. Similar to the hurricane contractor scam, the scammer is intent on preying on the fears of a senior. The scam promises 100% coverage in the event of a possible, future natural disaster although there is no intent to ever pay on the premium that is required up front. Although hurricane insurance can be a good choice for a senior, be sure to research companies and use only reputable providers. 3. The Grandparent Scam. This scam is one that is designed to target seniors through emotional manipulation. Through this scam, the senior receives a phone call from a distraught loved one, usually someone claiming to be a grandchild. The perpetrator calls at a time designed to catch the senior unaware, usually very early in the morning or late at night. Although this type of emotional manipulation can be difficult to withstand, do not provide financial information or wire money. Instead, take down your “grandchild’s” information and contact a parent to assist them. 4. The IRS Scam. It is important for seniors to know that the IRS will never call you on the phone. The IRS prefers to communicate in writing and will never spontaneously request payment be made over the telephone. Scammers frequently use this scam to scare others with the threat of liens on the home, property, or checking account. None of these actions can be taken by the scammer although it is threatened. Take down the caller’s information, if he or she is willing to give it, and then contact the IRS directly or your accountant. Do not provide this person with any of your bank account information. We know how difficult it can be as a senior to avoid scams. These criminals are intelligent and have designed a system specifically designed to prey on you. Do not hesitate to let us know what questions you have or if you have more scams that you would like us to be made aware of. We are here to help you now and in the event of a crisis.